The Financial Markets Authority has made two new management appointments. Louise Nicholson has been made director of external communications and investor capability, and Scott McMurray is director of strategy and stakeholder relations. 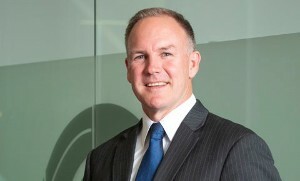 Since 2014, Nicholson has worked in the corporate affairs team at ANZ Bank, most recently provided communications support to the New Zealand leadership team. A former journalist, Nicholson has held public affairs roles in Sydney and worked as a government press secretary in Australia. McMurray worked for the FMA between 2012 and 2014 as manager of government and industry relations and acting head of stakeholder management. Following time overseas, he then worked for the Commission for Financial Capability as the manager of the review of retirement policies in 2016. McMurray re-joined the FMA as the manager of government and industry relations in 2017.